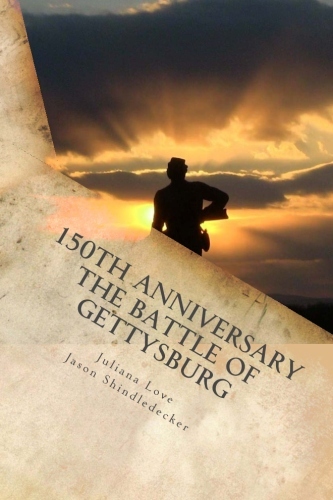 We, at J & J Photography, must make it perfectly clear this edition is NOT a history book, nor is it a guide to the battle of Gettysburg and DOES NOT contain information on the 1st, 2nd or 3rd days battles. While out taking pictures for our Summer Ray movie story boards, awestruck at the beauty of God’s sunrises and sunsets, we could not help, but to continue taking pictures. Our photographs are not altered, nor are they photoshopped in any way shape or form (other than the first and second to last photos, in which lettering is added). The colors of the sky are real. The fog and mist are real. What you will see in the following pages, are God’s handiwork surrounding the beautiful and heart wrenching blood soaked fields of Gettysburg. Although there are many photographs we could not add, we did our best to provide an extensive look at Gettysburg, in all four seasons and in all weather elements. You will see the same cannons, fields and monuments, but you will not see the same picture, as no two are the same. It is with sincere thanks of the many people we have come to love, who share our passion for Gettysburg. Without their continued support and encouragement, this special edition would not have been made. We hope this book will become a treasured keepsake, long after the 150th Anniversary of the Battle of Gettysburg becomes history as well.